Ah, the spontaneity of childhood. Even something as simple as a heart-shaped cake can give rise to an elaborate tea party fit for the Mad Hatter and the March Hare. Nothing is ever planned, yet everything comes together in magical perfection. At least that's what happened the day I made this Vanilla Sweetheart Cake. If there's any flavour that I love more than chocolate, it's vanilla. Yes, I would choose vanilla ice cream over chocolate any day. It's funny because as a kid I detested the scent of vanilla. I found it sickeningly sweet and nauseating. Strange, no? Luckily my own children do not share the same affliction. 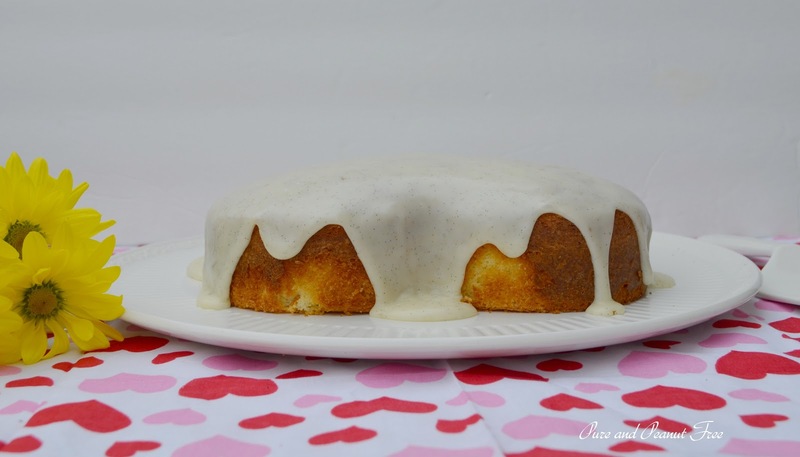 When I began planning a Valentine's day menu for my little loves, I knew I had to make a Vanilla Sweetheart Cake. There's something so whimsical about a heart-shaped cake. A simple vanilla cake with an ultra-decadent salted brown butter and vanilla bean frosting. White on white is so elegant. My little girl is quite inquisitive about the art of baking. She was eager to help sift the flour and pour the milk, and of course, to lick the frosting from the whisk. Then she sat with her nose pressed against the oven door and watched in rapt anticipation as it baked, slowly rising and morphing into a delicious treat. A lesson in patience as we let it cool before pouring over the icing. The icing. Oh the rich, luscious icing. The cake is good, but the icing is what takes it over the top. Fresh, sticky vanilla seeds scraped from the pod. Opulent butter, browned to nutty perfection. And the salty sweet crunch of French grey sea salt, still moist from the shores of Guérande. If you make nothing else, make the icing and eat it with a spoon. It's that good. I found this recipe in Country Living and modified it ever so slightly. Really, it's such a good recipe, why change it? As her patience waned while the cake was cooling, her imagination took over, and soon my little girl was setting the table for an extravagant tea party. The sun was sinking. I set the old kettle on the stove to boil, and as I iced the cake (and snapped a few photos) the guests began to arrive: a prima ballerina from Paris, two soft and lovely princesses, a village girl dressed in red from Ecuador, and one very special pink rabbit. The party ensued amidst giggles and warm smiles, and my sweetheart cake quickly disappeared. In its place are memories of a Valentine's tea party that will last forever. Wishing you and your sweethearts a very happy Valentine's Day this week! *kitchen note: Don't throw your vanilla bean away after you scrape the seeds from it. I keep a jam jar full of sugar. Whenever I use a vanilla bean, I place the pod in the sugar and give it a little shake. 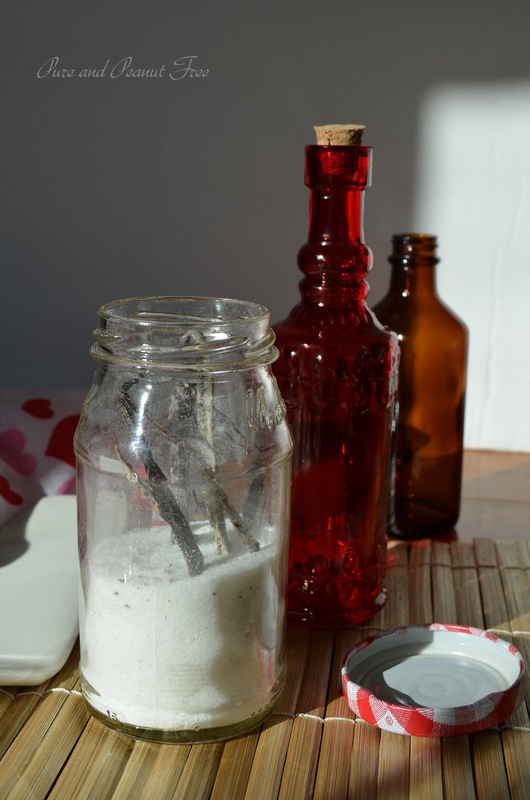 I always have vanilla sugar for sweetening whip cream or coffee, or for just sprinkling on toast. Preheat your oven to 400 F (200 C). 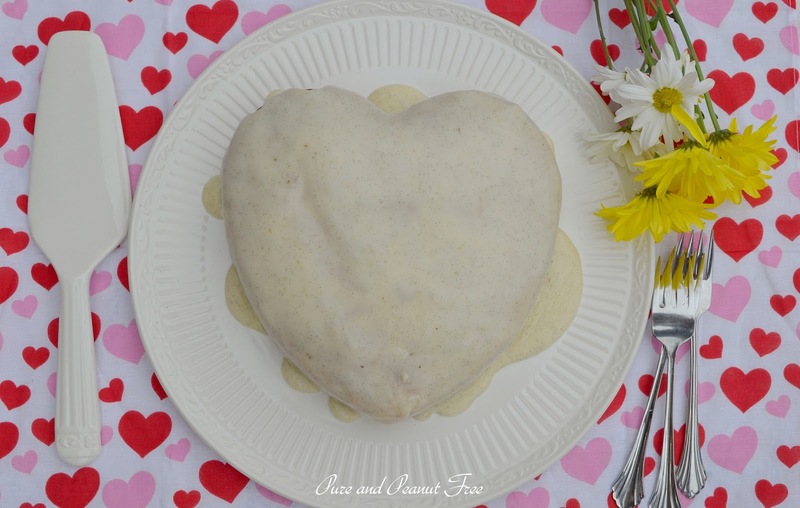 Trace the bottom of a 8 inch, heart-shaped cake pan on a piece of parchment paper. Carefully cut out the heart just inside the line. Spray the pan with non-stick spray, or butter well. Press the parchment heart into the bottom of the pan, and spray or butter that as well. Dust the inside of the pan with a few teaspoons of cake flour and set aside. Sift the flour, baking powder, and salt together into a large mixing bowl. With and electric mixer, slowly beat in the butter until just incorporated. Beat in the sugar and then the eggs, one at a time. Mix the vanilla and milk and slowly beat this in until everything is just combined. Pour the patter into the prepared pan and bake 30 - 35 minutes. Test for doneness with a toothpick or wooden skewer. Cool completely before unmolding and icing. Place the sugar in a medium mixing bowl. Slice the vanilla bean in half lengthwise. With a small knife, carefully scrape the seeds from the pod and add them to the sugar. Break up any large clumps of seeds with your fingers and mix them into the sugar. Add the milk and sea salt, and whisk until smooth. Meanwhile cut the butter into even chunks and melt it in a small sauce pan over medium-low heat, stirring often. Cook the butter slowly until it becomes a rich, golden brown and has a nutty aroma. Immediately remove the butter from the heat and pour it into the icing. Whisk until the butter is completely incorporated. This takes about 2 minutes. Place the cake on a serving plate and remove the parchment from the top. Pour the icing in the middle of the cake and gently spread it to the edges letting some drip over the sides. Serve immediately. Store any leftovers in the refrigerator for up to two days. 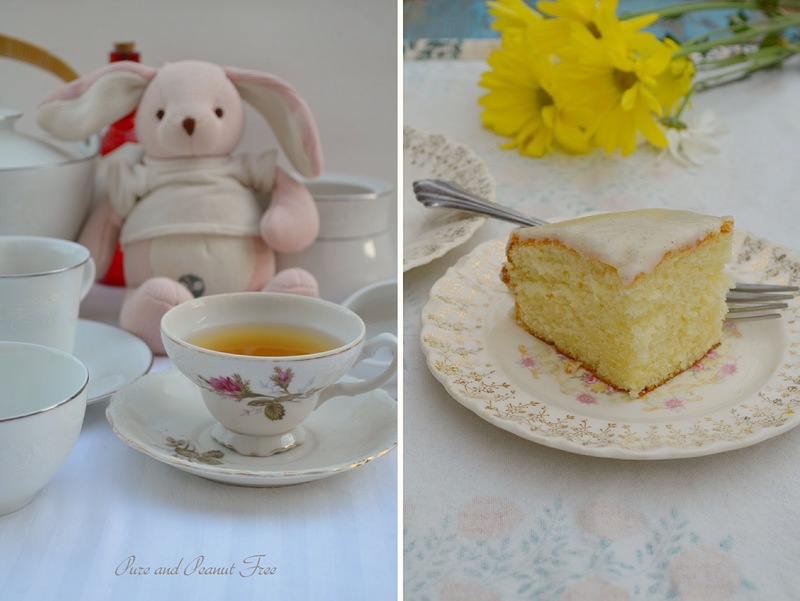 I have such fond memories of impromptu tea parties with my Mom. They can be such a lovely part of childhood. The photographs are gorgeous, and I just love the cake. The icing sounds amazing! 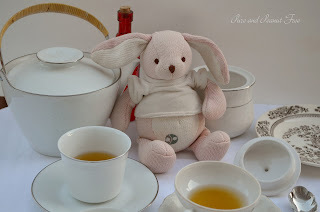 I just love a good tea party with my little ones :) Thanks for sharing on facebook!